To be a vendor at the Lewiston GardenFest, the deadline is May 1. If you’d like to share your garden, the deadline is May 14. The Lewiston Garden Club will hold the Lewiston GardenFest from 10 a.m. to 5 p.m. Saturday, June 15 and Sunday, June 16 on Center Street in Lewiston. 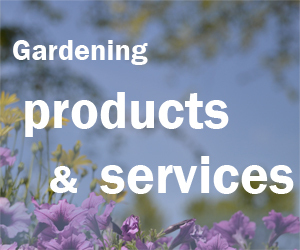 The event is seeking vendors who sell items related to gardening, horticulture and the outdoors, including nurseries, landscapers, garden artists, builders, and others. Vendor applications are due by May 1 and can be downloaded here. The application fee varies from $125-$225 based on the size of the vendor display. Village and Town of Lewiston residents who are interested in showcasing their own gardens can download the application here and return it by Tuesday, May 14. GardenFest is free to attend. In addition to seeing gardens and visiting vendors, you can participate in a container garden contest, listen to speakers and get your questions answered by Master Gardeners. All proceeds from the Lewiston GardenFest go to civic beautification efforts and scholarships. “This year we want to make gardening a family affair with offerings throughout festival weekend that appeal to gardeners and future gardeners of all ages,” said Sharon Low, co-chair and vendor chair of Lewiston GardenFest.